Hi, my name is Illy James and I am the founder of Illy James Limited. When I set up the business, my idea was to provide service to clients at its best. So far, I have succeeded. Moving home is time consuming, stressful and frustrating at the best of times. Offering a premium moving experience, it is our goal to provide an elite service and make your move as easy as possible. We help you coordinate with other commonly used service providers when moving, like storage units, carpet cleaning and house cleaning. Due to my attention to detail, I hand pick every single member of my crew and they are trained to high level. So far, they have proven to be one of the best in the field. Clients are always welcome to discuss anything with me personally, regarding their moving or any other projects. I just wanted to say a huge thank you for helping us move. The guys were brilliant, friendly, superfast and so helpful. Fantastic service. Just wanted to say what a great value for money service you provided. The team lead by big Alex did a superb Job, nothing broken or damaged. Even when the old owner had not moved out they were calm and professional. In moving all the boxes and furniture they still had time to talk to the kids. Have a great 2014. The team were fantastic over the last three days, working hard, cleanly and quietly. Please express our thanks to them and thank you for your very good service. Thanks for another great move. Thank you for moving us again. Your team were most helpful and I shall recommend them to anyone! Best wishes and thank you so much for your amazing help in getting me settled. Let me know if you want another testimonial to your fantastic customer service! Alex and Robert are so nice! Just wanted to send you a message to say Many Thanks for the help you gave me with regard to my recent move from Banstead to Bedford on 15th Nov! You were so very kind, helpful and flexible regarding the planning, advice you gave me on all aspects of the move including the date and location arrangements! Robert and his team of movers were just superb! They made the move easy and completely without incident for me, they were thorough, polite, hardworking and friendly, nothing was too much trouble for them! They are a great team and I consider myself lucky to have been able to use your very experienced team to manage what was a major house move for me! I have already given positive feedback and your contact number to one neighbor and a couple of friends and will continue to do so if and when I can! Best Wishes to you, Robert and his team and once again, Thanks for all your help! I just wanted to drop you a note to thank you and your boys so much for such an amazing service moving our flat last weekend. The guys were courteous, efficient and tireless! We were really impressed. It goes without saying that we'll be recommending you whenever we can! As well as using you for all our future house moves! We have a big bundle of boxes that are ready for collection whenever suits you. Let me know and we can work out a good time. Just a short note to thank you for helping us with our removal and storage requirements. Having used some of the largest removal companies in the past, it was great to get an efficient, honest and afforable service. 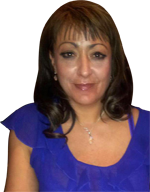 Alex and his team were friendly and professional and I would not hesitate in recommending your company. Absolute pleasure - I did wonder about emailing Mr4Men to explain the service I'd witnessed and experienced but realised people like them probably aren't worth bothering about... honestly Illy - your team were amazing at Grant's... So impressed and will most certainly continue to recommend you. You know, using your removals company has really been a lesson in business for me. Pimlico Electricians, who charge a small fortune to hang pictures, take almost half an hour to hang one picture in order to charge for another hour and then another hour and usually hang only five pictures in three hours if one is lucky. Pickfords quoted me close to Â£5k for the same move you did, over more days with more people and two days to redeliver - they took four tea breaks and a lunch hour to make more money from me. Clients see very quickly how they are being ripped off and rarely use these sorts of businesses again. You stand a very good chance of getting repeat business from all sorts of people if you provide value for money (as you do) and the personalised service that you do. You will defeat these competitors hands down, believe me. Good luck and I really think you will be very famous one day! 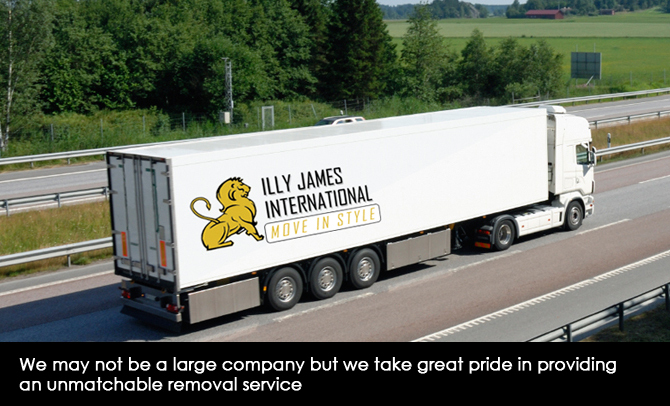 "Illy James Ltd. leaves all other removals companies like Sterling, Able, Cadogan Tate, Team Relocations, Bishops Move, Pickfords/Hoults by the wayside. Value for money, their exceptional five star packing lead by the extremely professional and hard working Alex and his team, Illy's men work quickly, carefully and efficiently - no tea or lunch breaks - just sheer hard work and our job was handled with kid gloves from start to finish when they unpacked, placed rugs and furniture beautifully and sympathetically and even hung a picture or two - Illy James and her team are a joy to work with and I could not recommend them more highly! Please do e mail for a reference!" Also wanted to say a big thank you for you and your team with our move. You have a great team who did the job so well and efficiently and were a pleasure to work with so thank you. Just wanted to let you know that your guys were amazing and I will be recommending you to all my friends. Your removal guys did a really good job, very professional. Thanks illy. Really pleased with hot services and will recommend to anyone we can. Just wanted to write and say thank you to you and your team for doing such a great job with our move. Everything went really smoothly in the end...we had a short wait for the keys but luckily not too long! Alex and the guys were really great and worked so hard so please thank them again from us. They are very sweet and nice guys. I am impressed by their speed. They make a very good team. Thanks a lot. Just a note to say how incredibly impressed I was by your service on Monday. Robert, Peter and Eivel were really wonderful and really couldn't have done enough to help, they were immeasurably friendly, polite, reassuring, calm, professional and helpful - they made a difficult day straightforward and easy. I've been singing their praises to everyone and my mum and one of my sisters (also near your area and coincidentally also moving soon) will be contacting you with the hope of also booking your company. I am SO glad I went with your company after a random google search! What a great team you send for our move! They were quick and efficient. Thank you for making our move so stressfree. I shall be recommending you guys to all my family and friends. In any case, here I am to thank you for the excellent job done by the team! We were really impressed: everything went flawless and very quick (at 3 they finished!) and they all were very nice, polite and extremely gentle. So thanks again. We have unpacked most of the boxes, we still have some, but the main part are ready for collection whenever the guys want. Let me know and I will prepare them. I just wanted to say thank you to your and your colleagues for the removal service that you provided. It all went without a hitch and we were very pleased and impressed with the efficiency. Just a quick note to thank you and the team for a job well done yesterday. Really efficient, patient and friendly - exactly what you need on a stressful day! We'll be back in touch if we move again. EXCELLENT SERVICE, WILL DEFINATELLY RECCOMED! Illy, I must say what a brilliant service! I am so glad we used your guys for our move. I am going to make sure my 3000 Facebook friends and over 2000 followers all know what an amazing company you are. No one should use anyone but Good Removal Co. THANK YOU! Just to say a huge THANK YOU to you and your team for doing such a great job yesterday. Illy, the job was executed above expectations! Well done and thank you so much for all your efforts to make a big move so smoothe! Excellent service, exceeded all our expectations! Will recommend to everyone looking to move! Excellent and very polite! Professional service throughout! Thank you! Illy, I want to say a huge thank you to you and the boys! They make our day so easy, no stress at all. They made a huge move look easy! Unbelievably professional and polite! Thank you! Polite and very Efficient! Great Service. Very happy I used Good Removal company. The best removal company we have used! A Huge Thanks, Illy! no doubt I will recommend Illy James and her team to everyone! Great to work with, professional throughout! Made a very big move stress-free! Friendly, accommodating and very hard working team! Will recommend and use again! The best movers! Packed and moved a 5 bedroom house in 1 day! Well planned and well executed! Thank you Good Removal Company! I hope you are well and thank you for much for helping us move we cannot praise Jonny and Alex enough - they were amazing! Of course, do you know which address you received the parking ticket and I will try source. First, a big thank you to the moving team. They did a great job. We're now ready for the packing boxes to be collected. We are in the house all day tomorrow if that suits; otherwise please let me know a day and time which works for you. Hi Illy, I just wanted to email to say how happy I was with the job your men did on Wednesday moving me into my new home. They were careful and considerate when moving belongings into each room and were very polite in conversation. WI would definitely recommend your services to friends. I apologise for the delay in sending this, but i just wanted to inform you that I was so pleased with the service I received from your company. From the initial prompt phone contact, informative emails and the delightful 3 removal men who made the move very quick, easy and efficient. Both my partner and I were very impressed with the service, and we will certainly recommend your company to any of our contacts who may be moving, or indeed when we plan our next move! I just wanted to take some time out to say a MASSIVE MASSIVE thanks you for coordinating such a smooth & seamless move for us. 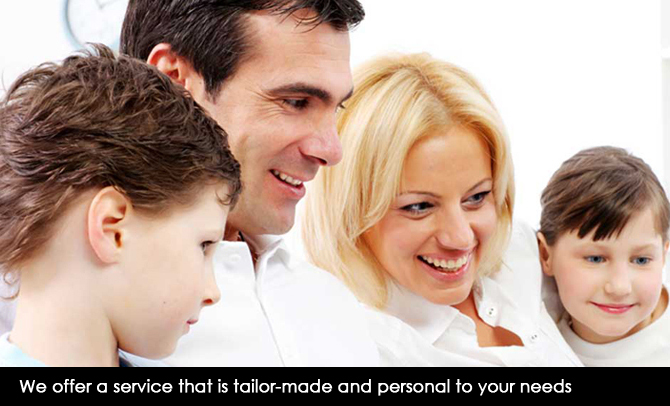 The service from beginning to end was very professional and efficient. The boys you sent were indeed in control of what had to be done & very polite. I asked them several times to have a drink but they worked non stop and only accepted drinks once we got to our destination â€" WOW!!! Just a quick note to say thank you so much for the excellent way the team moved me the other week from London to Lymington. The piano arrived safely, thanks to great efforts by all the team at both the London end and at Lymington. Hi you moved me from byfleet to shepperton on the 28th may. lts taken me this long to get back on the net or l would of contacted you sooner to say thankyou. your men were a great help and did a great job.